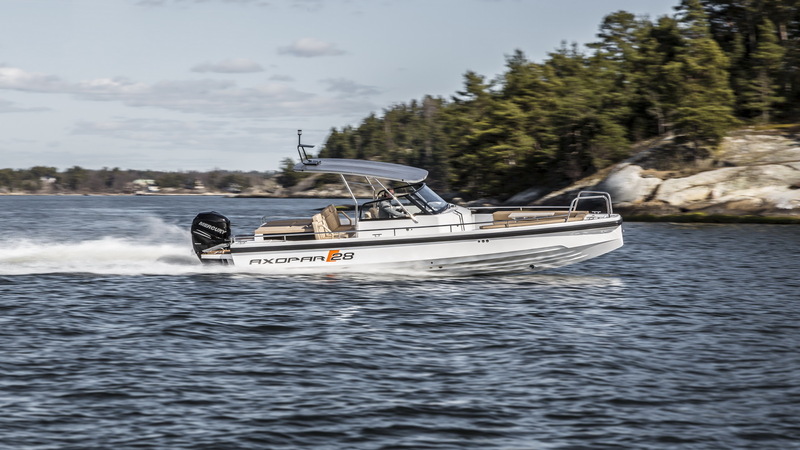 High level functionality combined with fresh design. 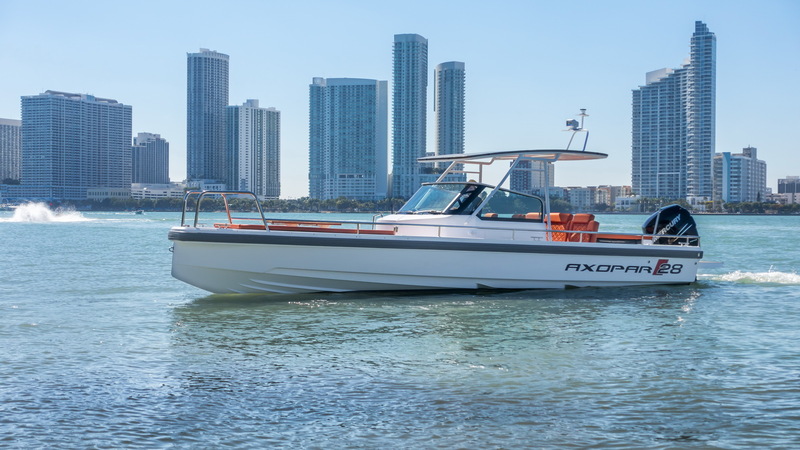 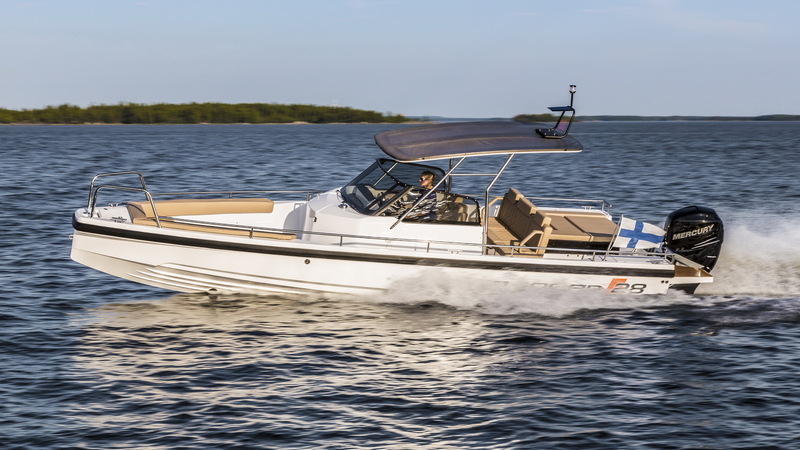 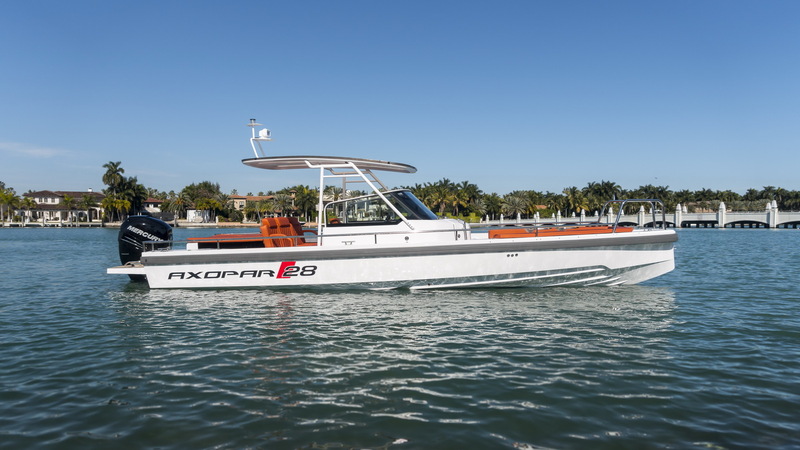 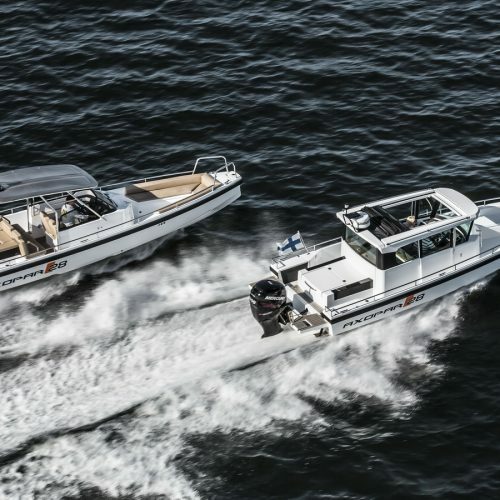 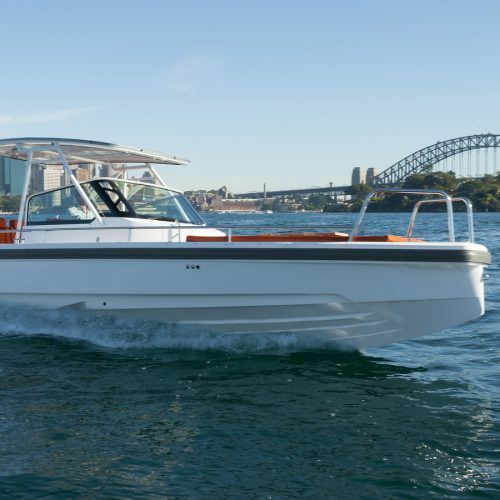 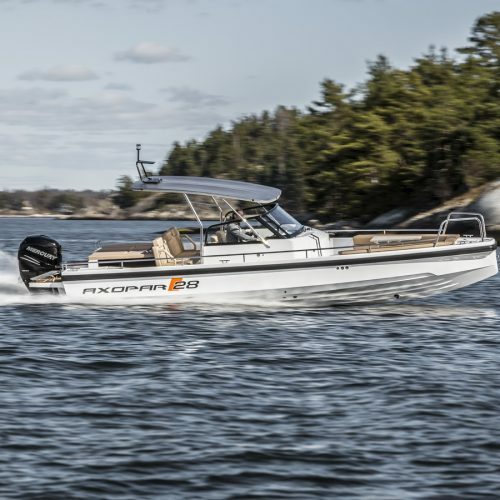 The T-Top model features an aft cabin sleeping two persons and optional sun decks both in the front and back of the boat for enjoying the sun with the t-top giving shade at the helm. 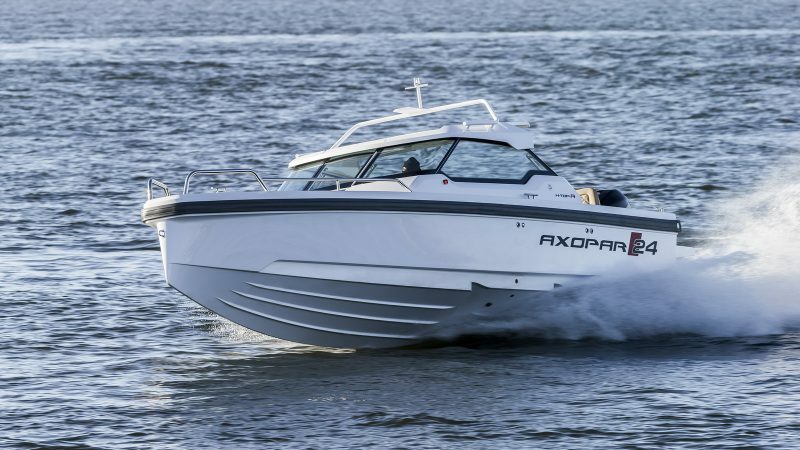 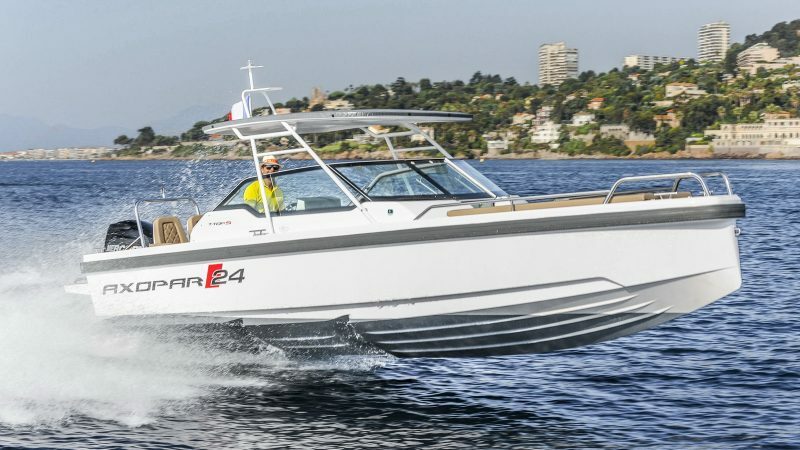 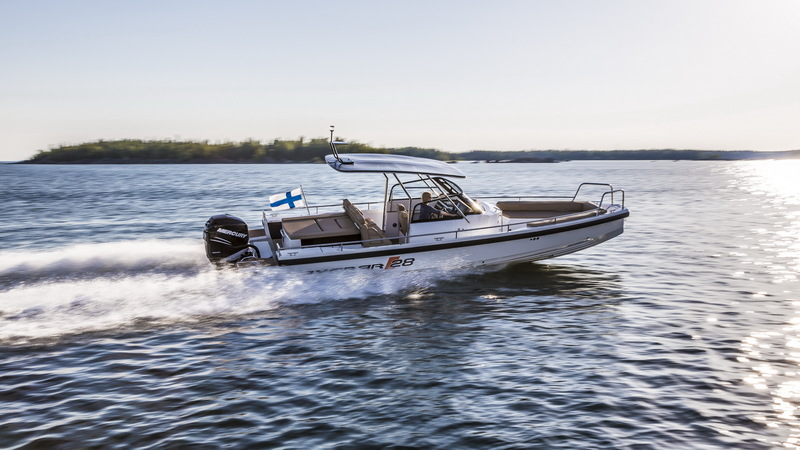 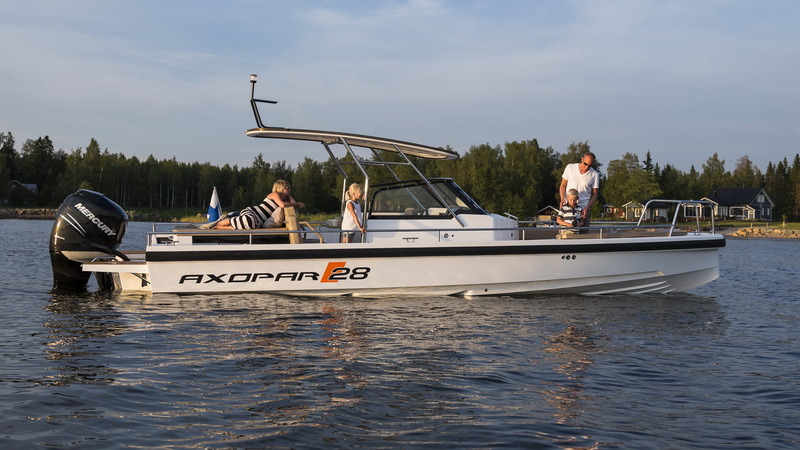 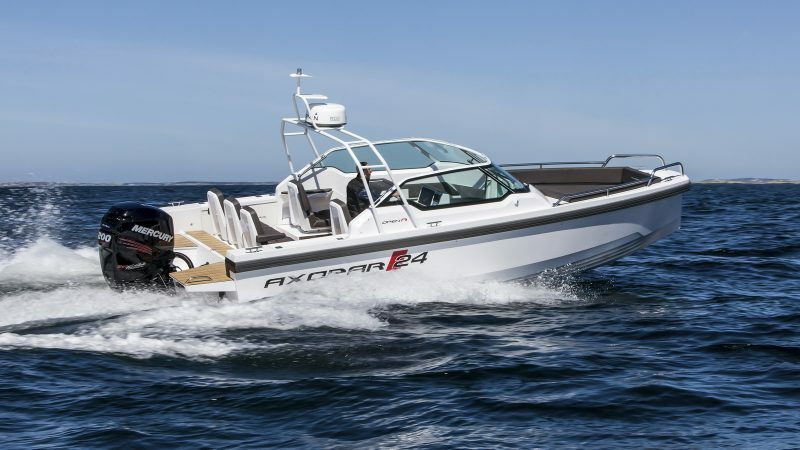 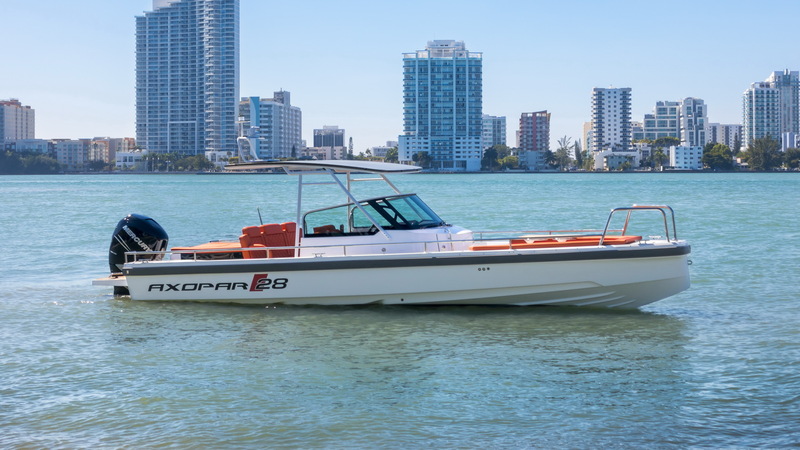 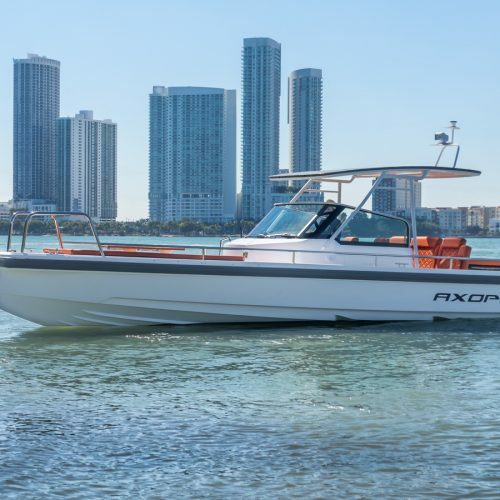 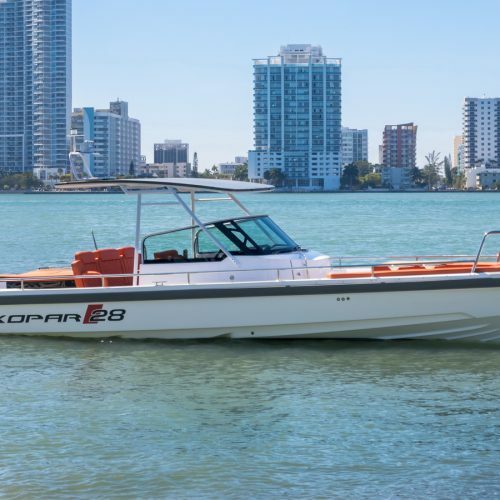 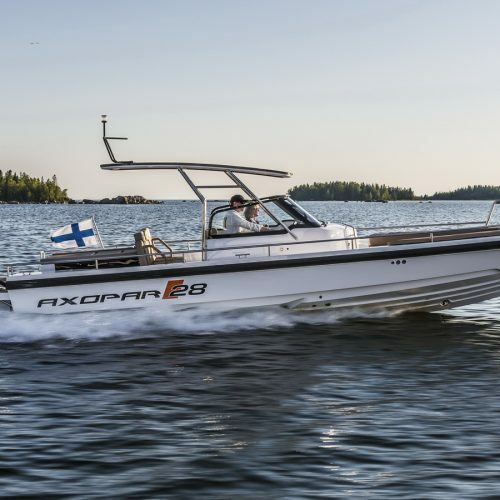 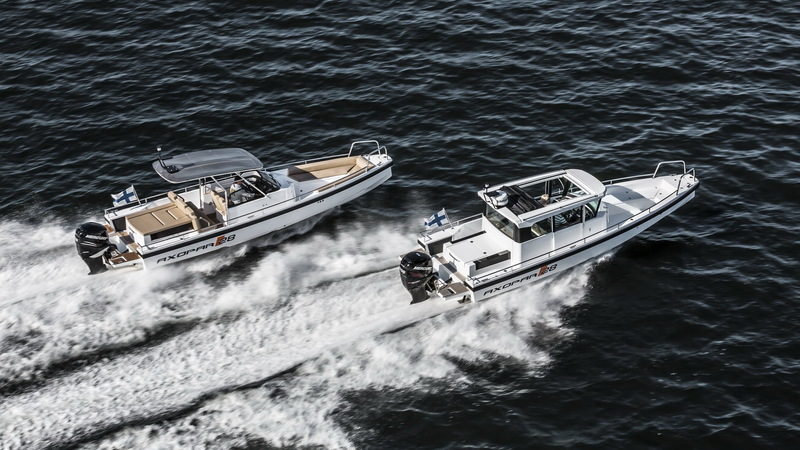 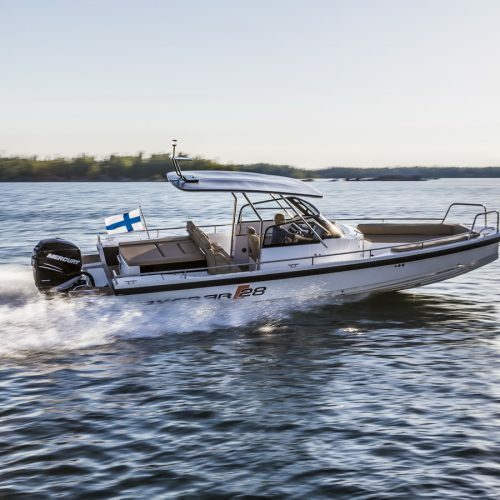 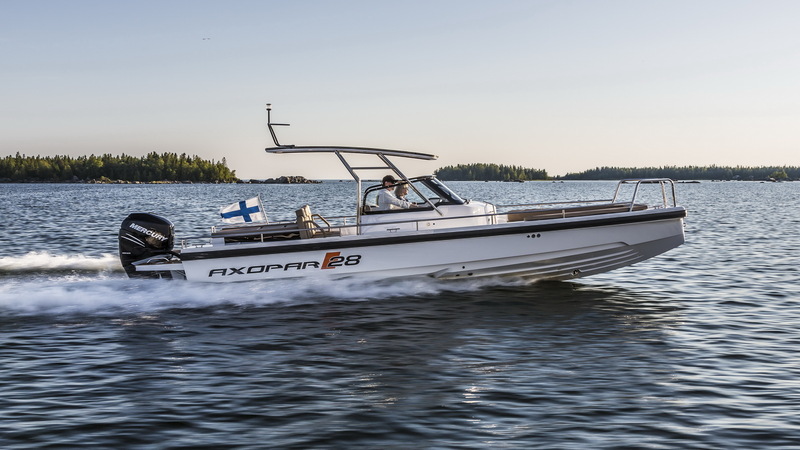 The Axopar 28 T-top is the ultimate leisure boat for trips to your favourite anchorage, water sports, sunbathing or just relaxing with friends and family. 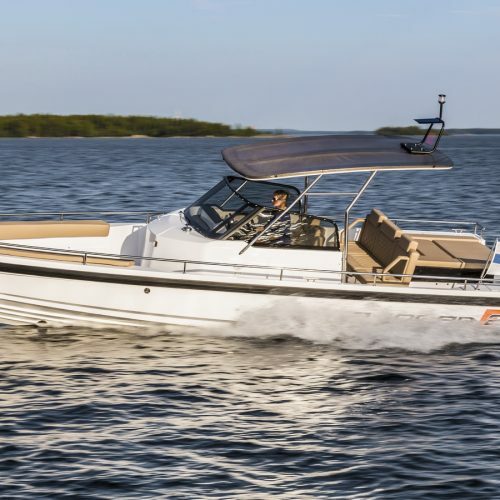 This sleek walk around cruiser with a canvas T-Top features a smart aft cabin for two that doubles as a large sun deck and sets the stage for all the on-water activities. 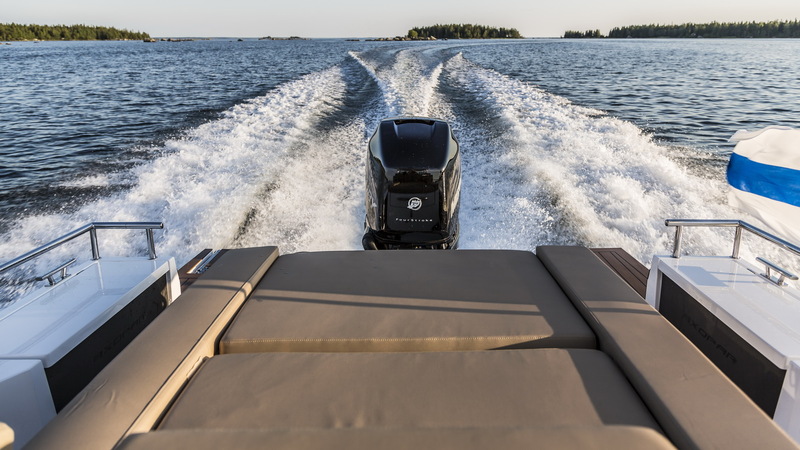 The spacious foredeck features a large sociable L-shaped sofa with table for four, which also transforms into a sun bed. 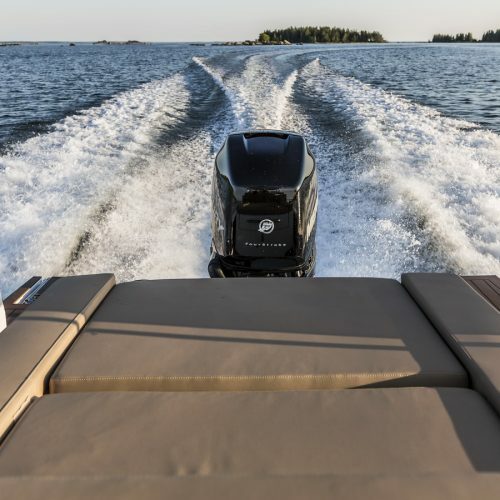 A separate stowage/head with sink in front of the helm is also accessed from the fore deck. 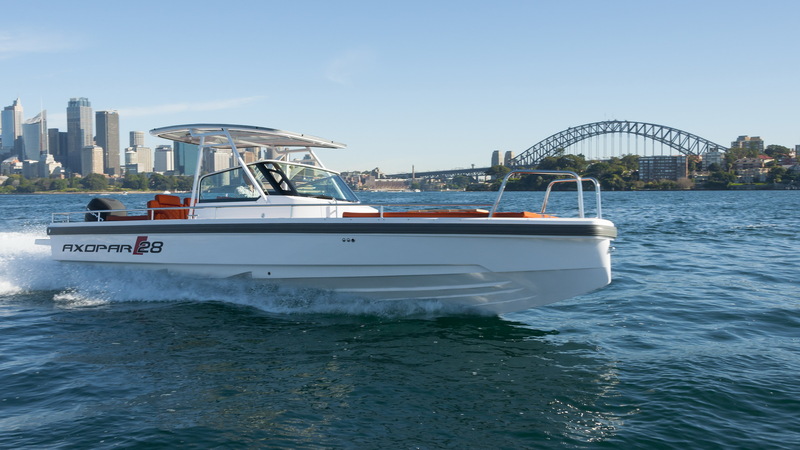 The T-Top model now even more comfortable with the Day cruiser aft cabin as standard with added comfort, ventilation and light in the aft cabin. 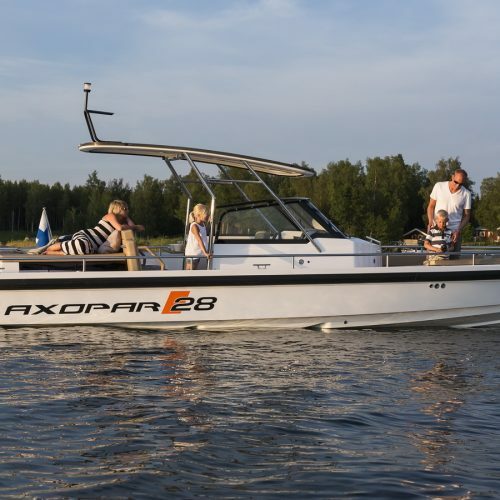 It features twin flush mounted Lewmar roof hatches, mosquito nets and a roof headliner in Silvertex Ice colour. 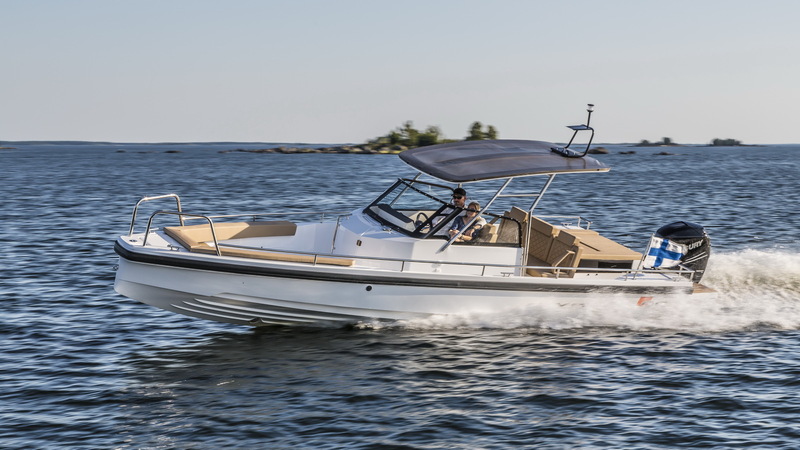 The T-top model is also available without the aft cabin as an option. 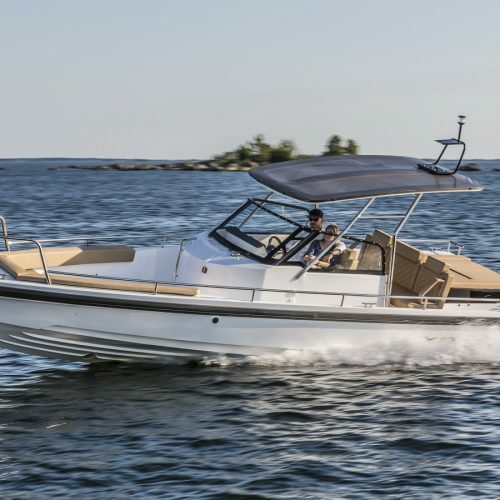 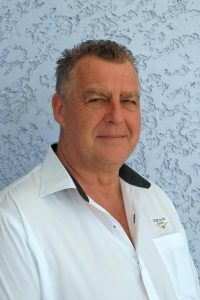 Those who don’t feel they have a need for an aft cabin in their boat and want more space on the aft deck now have the opportunity to leave the aft cabin out of their T-top. 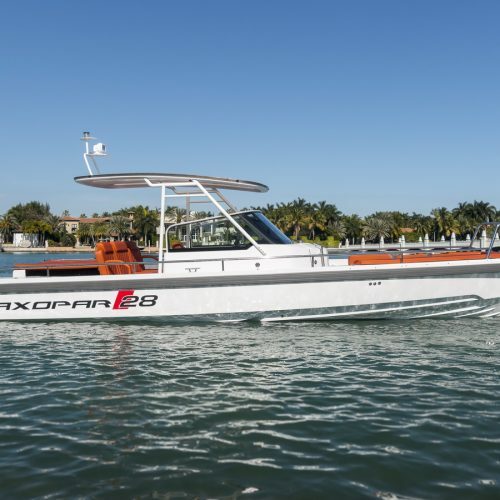 Get ready for the red carpet with this ”Monaco Chic” cruiser.